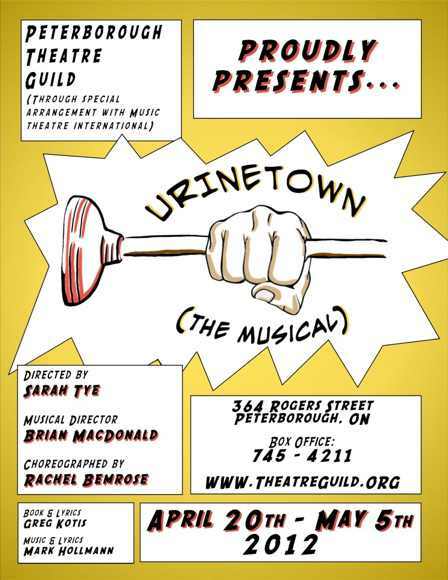 Be sure to get your tickets for the upcoming musical Urinetown at the Peterborough Theatre Guild, which runs April 20th to May 5th. Come out and support the incredible talent that our city offers. Tickets are on sale now, $25/adults, $22/Seniors, and $15/students.